There is no doubt that if you are interested in nutrition, or work in the healthcare field, that you have heard about probiotics. Undeniably, if you turn on the television for a few minutes you will see a commercial promoting a new probiotic supplement. Probiotics consist of live bacteria and yeast that are generally good for you, and especially for your digestive health. Probiotics also have been shown to play a role in improving immune function. There are many different types of probiotic bacteria. The two more popular types of probiotic bacteria are Lactobacillus, which is found in yogurt and fermented foods, and Bifidobacterium which is also found in some dairy products. These bacterium can help with symptoms of diarrhea, irritable bowel syndrome, and inflammatory bowel disease. Probiotics also may help with skin conditions such as eczema and preventing allergies and colds. People are born with good bacteria in their digestive tract, however our natural gut flora can be altered with the use of antibiotics and intestinal infections. To replace the lose of flora, one can take probiotic supplements or chose to eat the many foods that will provide your gut with the good bacteria it needs. 2. Kefir: Similar to yogurt kefir packs a powerful probiotic punch. 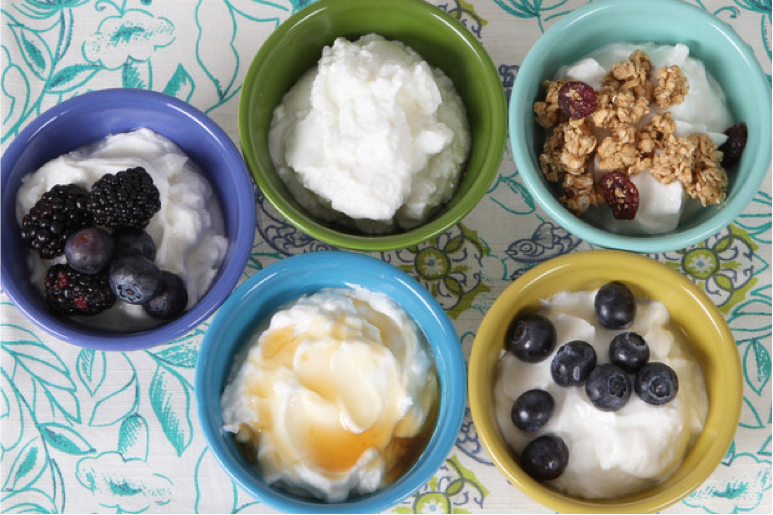 Kefir is more potent than yogurt. Kefir is creamier than yogurt and if often seen in stores as a pourable drink. Kefir has been used in Eastern European countries for a long time but is fairly new to the United States. 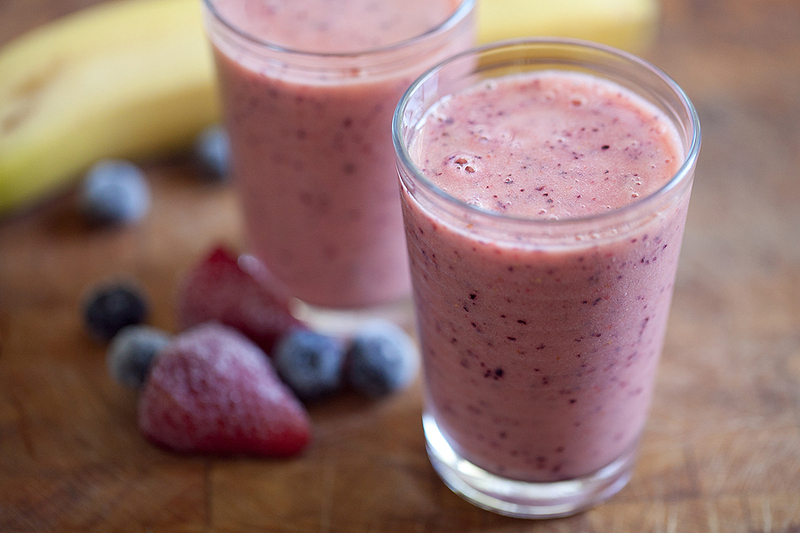 I enjoy kefir fruit smoothies. 3. Fermented Vegetables: Fermented vegetables come in various forms. Sauerkraut is one that is easily recognizable. Kimchi is another fermented vegetable that has been increasing in popularity. Kimchi is a staple in Korean cuisine and is made from cabbage and carrots and various spices. 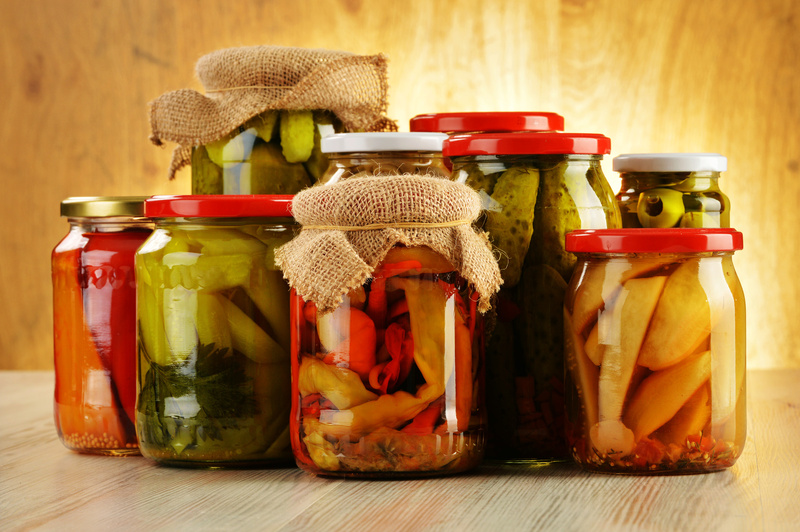 Fermented vegetables have a pickled flavor and in addition to getting probiotics you also get the vitamins, minerals and fiber from the vegetables. Fermenting vegetables at home is not difficult and has also increased in popularity in recent years. 4. 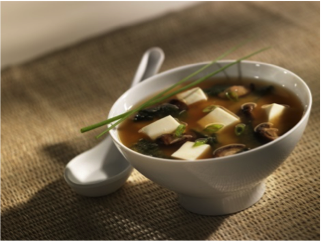 Fermented Soybean Products: Popular in Asian cuisine miso, tofu and tempeh are also sources of probiotics. Miso paste can be used in cooking to make sauces and dressings. Exercise caution with these products as they also tend to be high in sodium. 2 to 3 tablespoons citrus juice, from one lime or lemon, or half an orangeWhisk the miso paste in a small bowl until smooth and creamy. Whisk in about half of the juice and taste. Add the rest if desired.Taste and add more miso or juice as needed. 5. 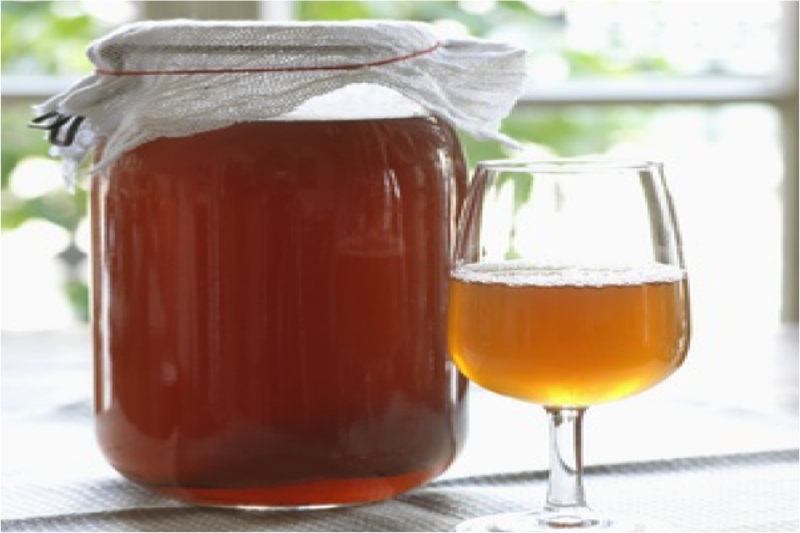 Kombucha: Keeping your gut healthy is important not only for digestive health, but for overall health as well. As we can see, besides taking supplements, there are many ways to feed your digestive tract healthy bacteria. 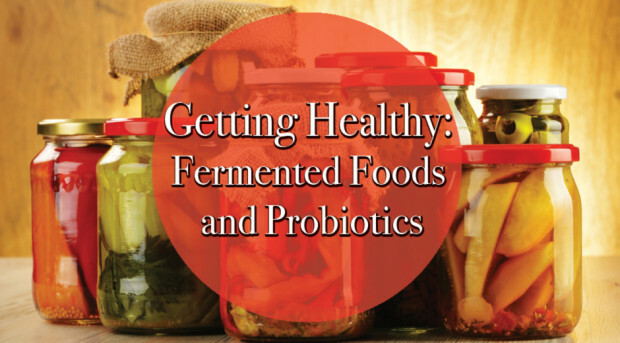 With so many delicious food options available it’s easy to find ways to incorporate fermented foods that provide your system with probiotics into your diet. And, if you do, not only will you be adding good bacteria to your body, but you will be incorporating a wide variety of tastes and textures into your daily diet you’ll be expanding your palate. Great article! The sour taste that accompanies fermented foods is a palette preference that’s hardly present anymore in the American diet, but I’m so happy it’s slowly but surely being reintroduced. So true! I was introduced to the delicious sour flavor while working in an Asian vegetarian restaurant in my college years. Now I’m hooked and so thankful for the health benefits.